...allows School Administrative District 58, Coplin Plantation, Highland Plantation and those unorganized territories with students who attend School Administrative District 58 to form a regional school unit. It authorizes the Commissioner of Education to approve the formation of such a regional school unit. ...enacts into law provisions regarding the reorganization of regional school units. 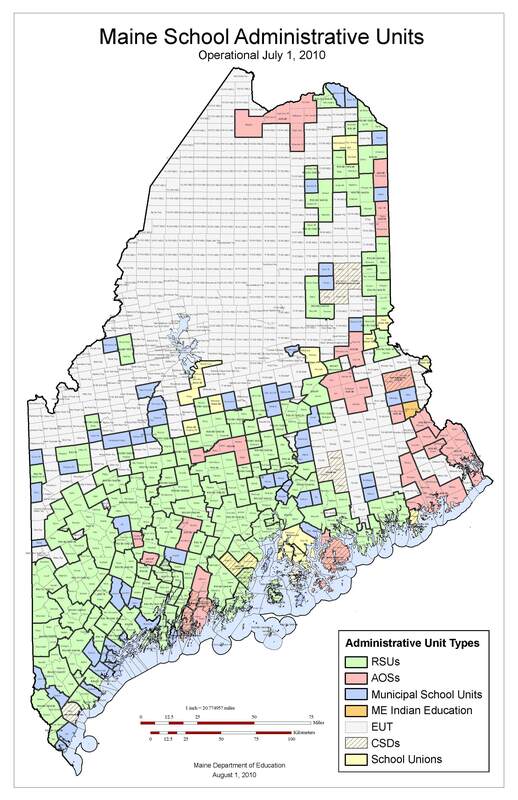 The new provisions are similar to the Maine Revised Statutes, Title 20-A, former sections 1405 and 1406 and allow the withdrawal from a regional school unit of a municipality and the transfer of a municipality out of one regional school unit and into another. A municipality that wishes to withdraw from a regional school unit must have been a member of that regional school unit for at least 3 years and must become a member of a regional school unit within 2 years of withdrawal or be subject to the penalties that apply to nonconforming school administrative units. The bill also includes provisions that formerly applied in this area of law authorizing the State Board of Education to review decisions of the Commissioner of Education. ...provides that penalties for a school administrative unit that does not conform to reorganization requirements do not apply if the school administrative unit would lose state subsidy as a result of its reorganization or if the reorganization failed because a participating school administrative unit would lose state subsidy. 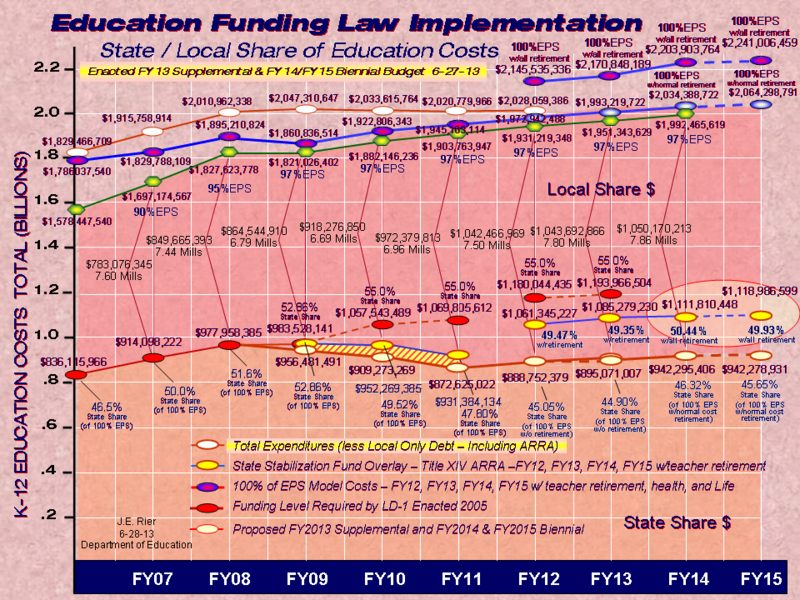 ...requires the Department of Education to calculate the subsidy a school administrative unit would receive as part of a regional school unit or an alternative organizational structure and as if the school administrative unit had not reorganized pursuant to the Maine Revised Statutes, Title 20A, chapter 103A. The department shall pay the larger subsidy amount to the regional school unit or alternative organizational structure of which that school administrative unit is a member. ...removes the requirement that a referendum must be held in a regional school unit to allow the voters to validate or reject the total budget adopted at the regional school unit budget meeting. ...proposes to enact measures designed to improve the laws governing the consolidation of school administrative units.